Sarah Emerson and Jody Fausett are currently part of the “Day Job: Georgia” exhibition at the Contemporary, which is up now through March 24, 2012. 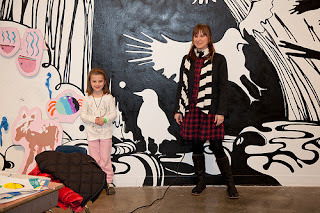 Sarah Emerson and her daughter, Harlow Cregar, have a site-specific installation and mural. Be on the look out for Sarah’s upcoming solo show at whitespace, which opens Thursday, April 5, 2012 at 7 PM. Jody Fausett, who had his solo exhibition at whitespace this past November, selected several of his new photographs for the Contemporary’s show. For additional information about “Day Job: Georgia,” please visit the Atlanta Contemporary Art Center website. 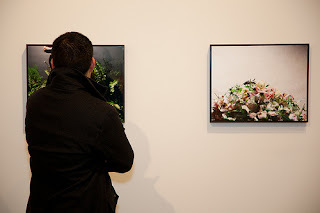 BurnAway has posted several pictures of the exhibition and opening reception on its Flickr photostream. This entry was posted in art exhibition, Atlanta, Atlanta Contemporary Art Center, BurnAway, Jody Fausett, Painting, photography, Sarah Emerson, whitespace on January 18, 2012 by Whitespace.